Kinkora-Palooza is BACK!!! This year we will be celebrating several generations of the Kinkora musical tradition on one stage, April 29 at the Eric MacLean Center for the Performing Arts at Loyola High School. 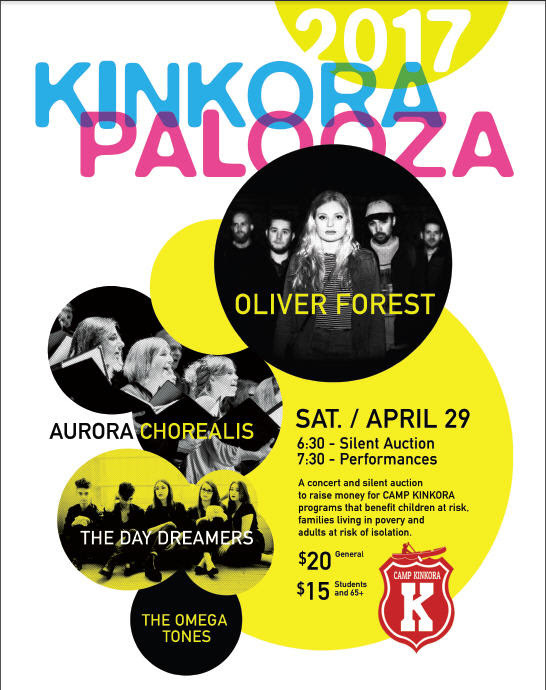 Performances by OLIVER FOREST, THE DAY DREAMERS, AURORA CHOREALIS and THE OMEGA TONES. An awesome silent auction full of great swag, a cash bar and plenty of surprises for everyone.